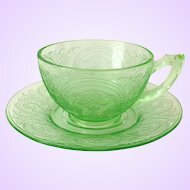 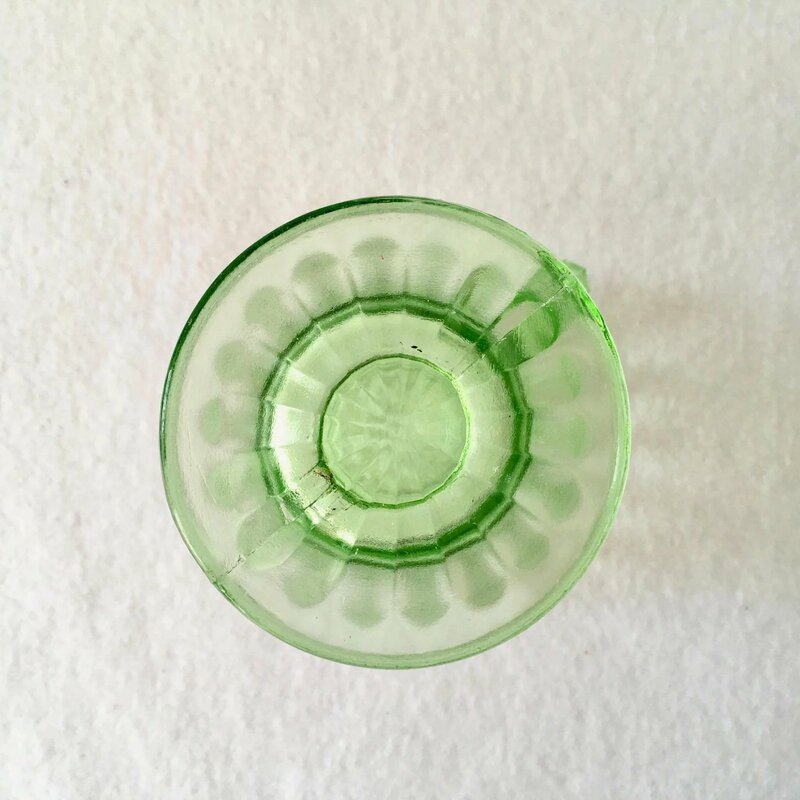 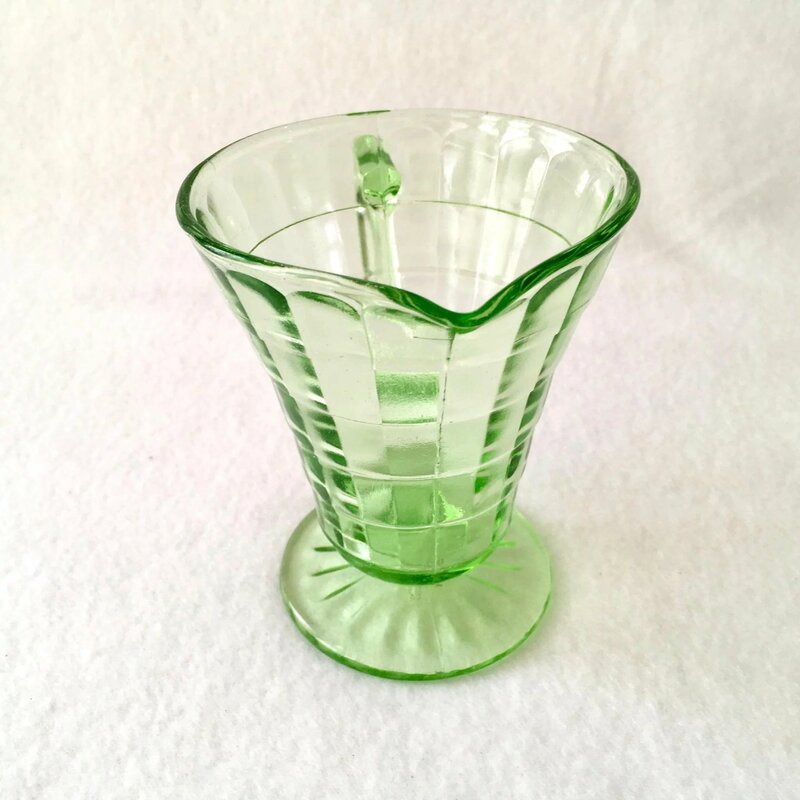 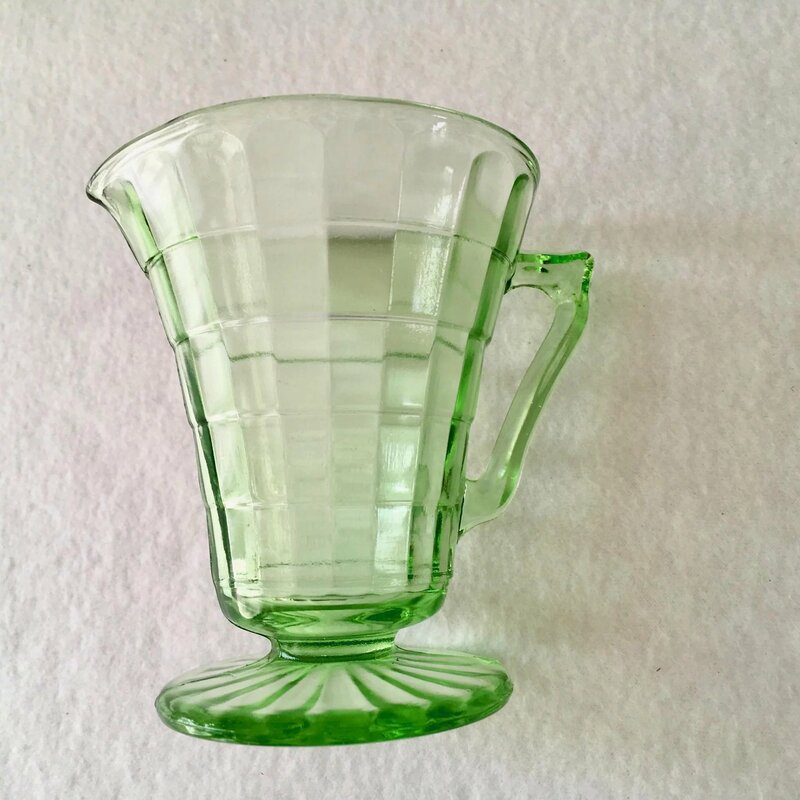 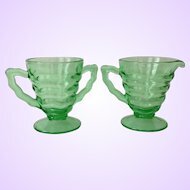 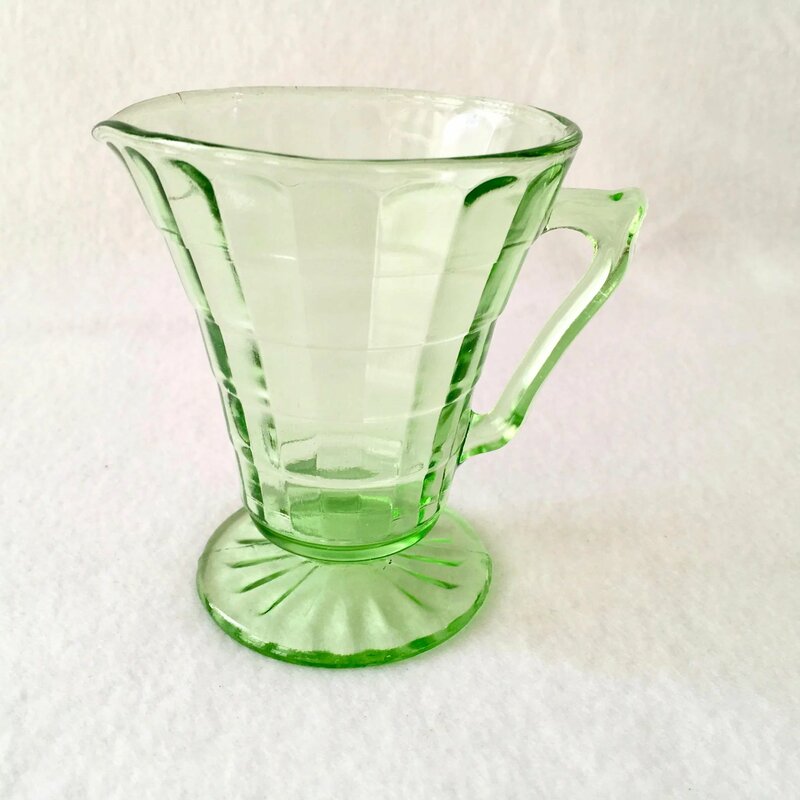 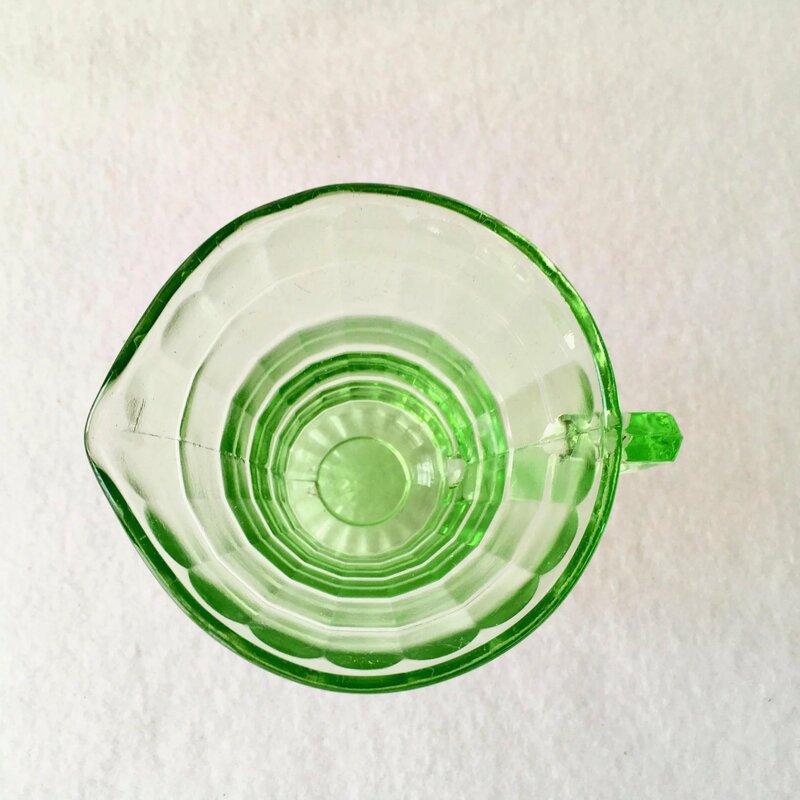 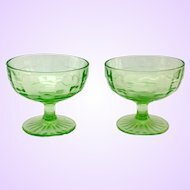 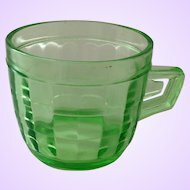 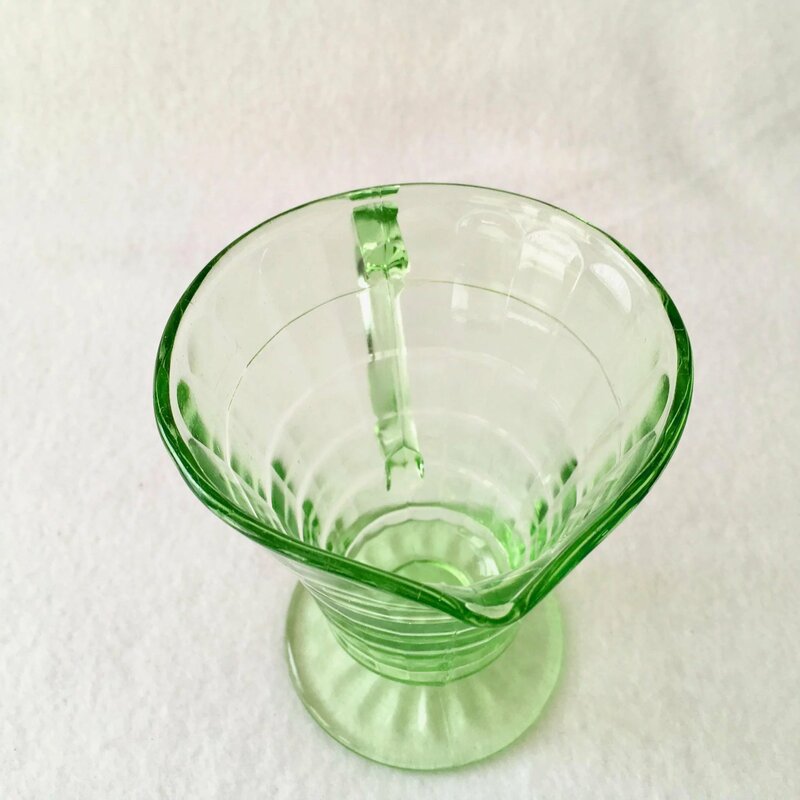 One of the several styles of Block Optic, this Hocking Block Optic Tall Green Depression Glass Creamer is the cone-shaped style with the pointed handle. 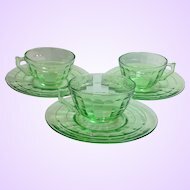 Named for its block design, there are horizontal rings molded into the paneled glass forming several rows of blocks. 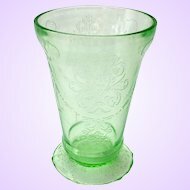 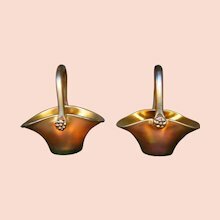 The cone shape tapers down to a rayed, circular foot, and the elongated handle comes to a point at the top. 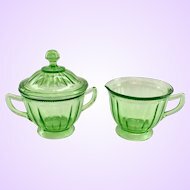 This tall creamer measures 4-1/8 inches tall and	3-1/2 inches in diameter at the rim on a 2-5/8 inch diameter foot. 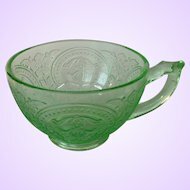 Made by	Hocking Glass from 1929 to 1933, before Hocking merged to become Anchor Hocking, there is no mark. 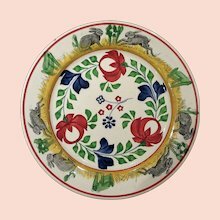 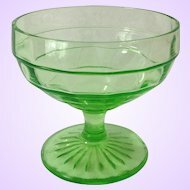 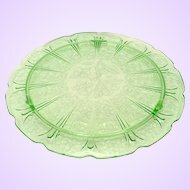 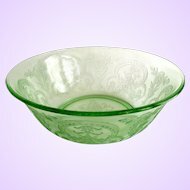 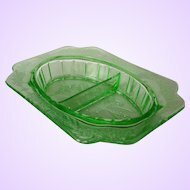 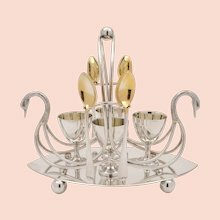 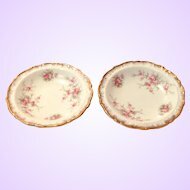 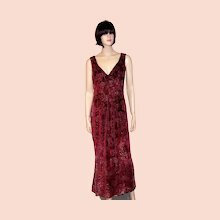 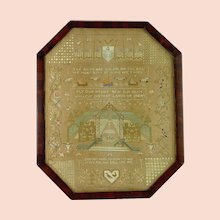 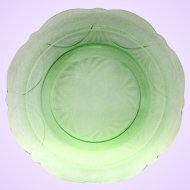 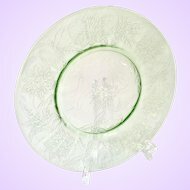 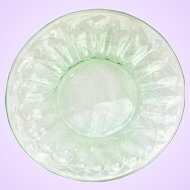 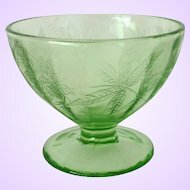 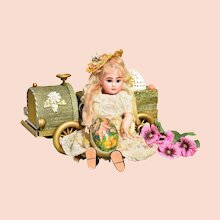 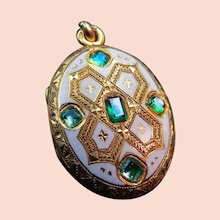 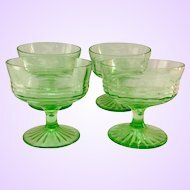 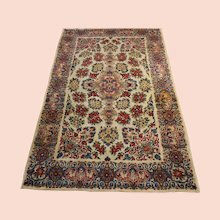 Other than the expected flaws characteristic of Depression Era Glass, such as bubbles, mold seam roughness, or other irregularities, there is no damage.